Hi springs in the air all you lovely schnauzers , I've been out digging the garden for my humans they don't seem happy though they keep shouting through the door at me to stop !! I ignore them and carry on when they are not looking !! 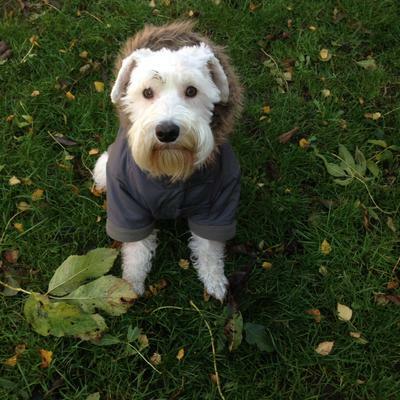 My mum got me a coat so I could go out in all weathers without getting cold hope you all think I look good . Hi Charlie.. You look great..